In particular, the Oriens Foundation has organised a dinner in his honour on Sunday 20 June in Sydney; see details below. In his book Dominus Est , Bishop Schneider encourages Catholics who truly believe they are receiving Christ in the Blessed Sacrament to kneel and receive Communion on their tongues: “The awareness of the greatness of the Eucharistic mystery is demonstrated in a special way by the manner in which the body of the Lord is distributed and received”. At a theological conference in Rome in December 2010, Bishop Schneider proposed the need for “a new Syllabus” (recalling the 1864 Syllabus of Errors), in which papal teaching authority would correct erroneous interpretations of the documents of the Second Vatican Council. In a UK interview last year, Bishop Schneider said the “banal” and casual treatment of the Blessed Sacrament is part of a major crisis in the Church in which some laity and clergy, including some in positions of authority, were siding with secular society. At the heart of the problems, he believes, is the creeping introduction of a man-centred agenda: while in some churches God, in the tabernacle, really is materially put in a corner, while the priest takes centre stage. Bishop Schneider argued that this situation is now coming to a head. I would say, we are in the fourth great crisis [of the Church], in a tremendous confusion over doctrine and liturgy. We have already been in this for 50 years. Meanwhile, expectations are growing that rules will be relaxed on a range of sexual matters and in terms of divorced people receiving Communion as a sign of “mercy” from the Church. 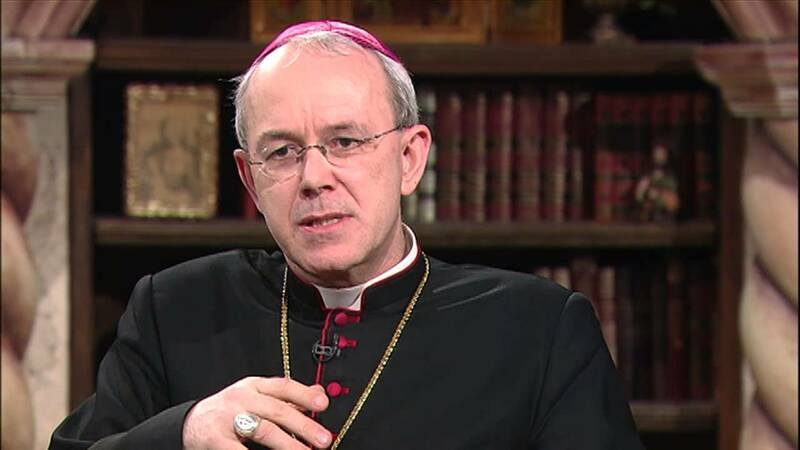 Such views, according to Bishop Schneider, reveal the depth of the problem. This is the deepest evil: man, or the clergy, putting themselves in the centre when they are celebrating liturgy and when they change the revealed truth of God, for instance, concerning the Sixth Commandment and human sexuality. His Lordship will be saying Mass at Lewisham in Sydney on 21 June (10:30), and in Albury on 26 June, and will speak on marriage on Thursday 25 June at 7pm in the Parish of Holy Spirit, Lavington, before heading south to address at the Australian Confraternity of Catholic Clergy (ACCC) at their annual conference in Hobart (June 29th – July 3rd), and to rally our young adults at the Australian Catholic Students Association (ACSA) at their annual conference in Melbourne (4th – 6th July). with 3 courses plus drinks for $90 per head. Please RSVP to Richard Fowler at rgfowler@gmail.com [0402 659 892] or Karolina Fowler at fowlerkarolina@gmail.com [0412 443 100] as soon as possible. there will be an opportunities to make (tax-deductible) donations to the foundation at the dinner.